Tap into your stores of untapped triathlon potential using endurance sports psychology. Carrie Cheadle explains how to build mental skills and toughness, and how to use these skills in various situations in training and racing. The difference between mental skills and mental toughness. Dealing with nerves and anxiety. Carrie is a mental skills coach and has been working in the field of endurance sports psychology and performance since 2002, and got her Master's in sport psychology from John F Kennedy University. She works with athletes of all ages at every level - from recreational age groupers to elite professional athletes competing at the highest national and international levels. Carrie has written her own book: On Top of Your Game - Mental Skills to Maximise your Athletic Performance. It's all of the skills that it takes to be successful and perform to your potential that are happening in your mind. They include skills such as focus, motivation, confidence and emotional control. Sometimes people assume you either have these or you don't, but they are actually all skills that can be strengthened and refined. Working on these skills can enable athletes to perform more consistently. With endurance sports, there is also the psychology of suffering to consider - being able to get to the finish line knowing you gave it all you had that day. Teasing out which part of that is physical and which part is psychology can be challenging. As a skills coach, for each athlete I work with we figure out what their goals are and what are some of the skills we can work on to help them achieve their goals. Age group athletes put a tremendous amount of pressure on themselves to do well on race day because for a lot of them it's a really big commitment, and you've sacrificed other things to get there, so a lot of work with those athletes is working on confidence leading up to the event, and race day confidence. Encouraging them to believe that whatever that day brings is what I'm meant to tackle on that race day. With elite athletes they have more competitions that they're doing to be able to learn from and gauge their feelings of competence and confidence - so age groupers often have to work on this skill more. Mental toughness in popular culture is described as the ability to perform consistently under pressure, be resilient in the face of challenges, have discipline for training and performance, and pushing through the pain of effort. Mental skills are what help you develop mental toughness. Training mental skills is very individual - it depends on what you're struggling with in that moment. For example, if you're struggling with feeling burnout, you're getting ready for bed and you have to get up early for a session and you just don't want to. If the issue is around motivation, the night before I might get the athlete to visualise themselves out during their training run, visualise waking up to their alarm and feeling super energised, and from this the brain can prep the body for what you're doing the next day. Or think about something you're looking forward to the next day during your training. If you're struggling with shifting focus you can up your mental game in by setting yourself both physical and mental goals in training and also daily life. E.g. if you're doing a training ride with intervals, you can do different things mentally for each interval such as imagining you're chasing someone down. 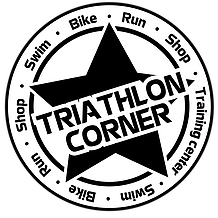 Skills training example: I had an age group triathlete who was doing her second Ironman and she didn't feel competent in her ability to change a flat on the side of the road. She was capable and had the skills to change the flat but was nervous to do it on the side of the road. For her next training ride part of her goal was to pull over and change her tire - even if it wasn’t flat. You get good at what you practice - create simulated training environments to practice the skills you're not as good at. I've worked with a lot of triathletes who aren't as confident with open water swimming - often people are nervous about people swimming near them or on top of them. We would create simulated training that works on skills of confidence and focus while having people they really trust swimming near them. The first time you experience it then isn't in competition where you could panic, it's in a safe environment, so you will be more confidence in the race. Real world example: focusing on form rather than pain throughout a really tough session and using that to develop and practice your mental skills, so that during a race you are able to switch off from the pain. Most people have a hard time with confidence - we have a fear of the unknown, and moving to another distance or doing a new race can set off the "what ifs…"
Your brain is trying to grab onto something so it can feel safe. Preparation equals confidence - the more prepared you feel the more confident you will feel going in to a race. Due to that, endurance athletes - especially age groupers - sometimes feel that if they didn't do their training plan exactly the way their coach set it out, they're going to fail. Professional athletes often realise that they're never going to get 100% - you aim for it but you have to listen to your body and what's happening, and sometimes you have to make adjustments (e.g. injuries). So if you're going in feeling like you've done everything you can, you will feel more confident. While people think the competition starts when the gun goes off, mentally it starts way before that. You need to prepare for the lead up time to a race where people experience performance anxiety and burn energy mentally and physically. Develop a pre-performance plan thinking about the lead up to a race, thinking through all the things you need to do and what you need to be thinking in order to feel confident in that moment. This can help you stay present in the moment and not time-travel to worrying about the race. A common difficulty athletes have is not trusting their training close to a race. By this point it's mental rather than physical as you can't keep training. It's important to remember that you have done the best that you could and you must accept and have faith in your training and trust that you can handle anything race-day brings. One mistake athletes make is changing what they eat on race day as a result of nerves surrounding the big day. It's important to keep everything the same as training, and not reaching for something different to feel like you have an edge. Have a pre-performance plan and be specific with what you need to be doing and how you want to be feeling and thinking. Create your own affirmation list when you are feeling more confident - sometimes you just need a reminder that you can do this. Regarding pre-performance nerves there's two ways to go - relaxing physiologically and relaxing mentally. Need to identify which camp you fall into - needing to relax and stay calm, or needing to be pumped up and super excited. Working on breathing and relaxation can be helpful for some athletes. Physiological symptoms such as a racing heart, butterflies, increased sweating are associated with being anxious/nervous and automatically labelled as bad. We need to remove that label and re-frame the idea that this is bad and focus on what is happening physiologically. E.g. if you get butterflies - re-framing this as "I'm not nervous, I'm excited, and my body is getting me ready to compete". It's important to try and breath normally - we automatically hold our breath when we're anxious which can signal to your body that something is wrong. Re-framing can also help to push your performance, even if you don't suffer from pre-performance nerves. Research has been conducted where they had participants hold a pencil in their mouth which forced them into a smile, and this alone raised endorphins. Another piece of research by Samuele Marcora involved people cycling with a screen in front of them that flashed images (too fast to see) of either smiling or sad faces, and they found that cyclists performed much better when they were flashed with smiling faces. They concluded that perceiving someone smiling reduces your perception of effort so you can take on more suffering. This shows there's a physiological effect of your emotions which can be manipulated in order to help you perform to your potential. It's important to understand the difference between the pushing through pain of effort and knowing when you've pushed yourself to your physical potential. I've found that endurance athletes who started training as adults don’t always have a framework of understanding the difference between the pain of suffering and pain that is your body's signal to stop. There's a learning curve in the beginning to understand this. You can play with this in training by pushing yourself a little bit more than you normally would - e.g. if you identify that you're going to run a certain distance, just running 10 steps past that can help your brain recognise "I've got more in me that I recognise". I call it going 1% more, and most people can do that, especially age groupers. Your brain takes in one piece of information to process at a time, so if you give your brain something else to focus on instead of the pain you won't process the pain. E.g. Rhythmic Cognitive Behaviour in running where you count your steps up to 8 and repeat. Having a phrase or mantra that you consistently repeat to yourself forces your brain to focus on that and not the pain. It's also important to establish an end and tell yourself this through training so you're working towards that end goal where the effort will stop. "I can do anything for 30 seconds"
Another tactic is focusing solely on the next marker - e.g. if you're running outside, just focusing on the next tree and then deciding where to go next after that marker has passed. This keeps you focused in the present and helps get you through the moment. Psychology of suffering is not always mental, it's important to consider the physical part as well. E.g. hydration and nutrition both during training and everyday life. Emotions we feel, such as feeling annoyed, can sometimes be your brain telling you to eat. There's no specific research about how long it takes to develop or improve your ability to suffer, it is very individual. Anecdotally, there are people for whom it comes more innately than others, but this can sometimes be to their detriment (i.e. more mentally able than physically able to suffer and end up getting injured). Pain tolerance is so subjective and individual that it depends on the person. Endurance athletes often struggle with the balance between life and training - specifically feeling that if you trained more then you'd be better, but there are other things that you value in life. Our ego's can suffer with this cognitive dissonance between life goals and training goals. This adds another layer to the psychology of suffering in endurance sports. There is a high likelihood that if you push yourself to see what your potential is, at some point you're going to hit a limit, so many athletes struggle with injury. One of the biggest challenges with injury is feeling as though you've lost your athlete's identity, so it's important to remember that even when you're injured you are still an athlete. When you're injured your performance is recovery - all the energy you put into training needs to focus on what you need to do to take care of your body and recover. It's hard not to focus on all the things you can't do, it can be a big emotional blow, but it's important to try and think about what you can do. Common fears for injured athletes include fear of re-injury, everyone getting fit while you're falling behind, will I be the same athlete when I come back - it's so emotional. Build up your emotional support system! When you're stressed it can potentially have an impact on your body's ability to heal so anything you can do to manage this stress will be beneficial. Carrie has started a support group on Facebook for injured athletes - called The Injured Athletes Club. It's a place where all different injured athletes from all different sports come together and share their wins, where their progress is at and generally get support. We do a live Q&A every month where people can come and ask questions about what they're struggling with and get ideas from me about the different mental aspects of recovery from injury. If you're injured or know someone who is, come check it out! You can do a performance profile specifically for mental skills to work out where you're at now, what you want to work towards and how you can move yourself in that direction. Identify what you feel are the top 8 mental skills you need to be successful in your sport (E.g. my ability to push through pain or my ability to focus during training). How important is this skill to being successful (rate 0-10). What's my ability in that particular skill (rate 0-10). Once you have this all written down, you can decide what will be the most important to work on. Identifying the discrepancies between the two scales for each skill can show you where to start. From this, you develop specific goals that you can work on. Well mine?! On Top of Your Game. The Talent Code - Daniel Coyle. The Gifts of Imperfection - Brene Brown. Also being very organised and identifying each week exactly what I need to get done that week. Who is somebody in endurance sports of the field of mental skills that that you look up to and admire? For endurance sports: Chrissie Wellington. I really identified with her outlook. My endurance clients - watching them accomplish something that they never would have thought possible is so incredible and such a humbling thing to be a part of, so they're they ones I look up to the most. Endurance sports psychology and the mental side of performance should not be under-estimated or just an after-thought. Apply this information - whether it's five minutes every day or longer, take the parts more relevant to you and get practicing! Start small, choose one or two points and focus on them to start with, then move on as you master them.